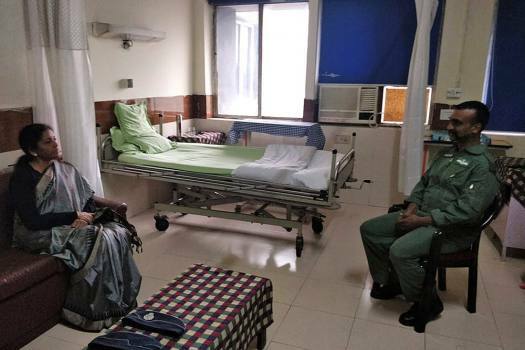 Air Vice Marshal RGK Kapoor during a press conference at South Block in New Delhi. 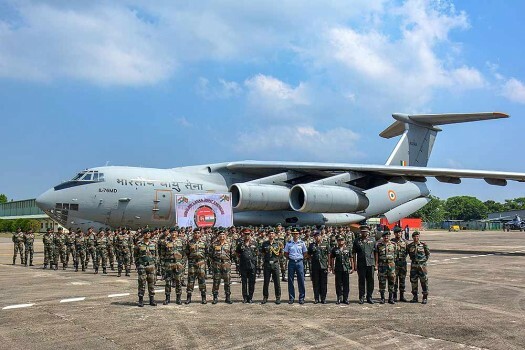 Indian Army contingent for Exercise Mitra Shakti-VI pay homage at the Indian Peacekeeping Force (IPKF) war memorial, in Colombo. 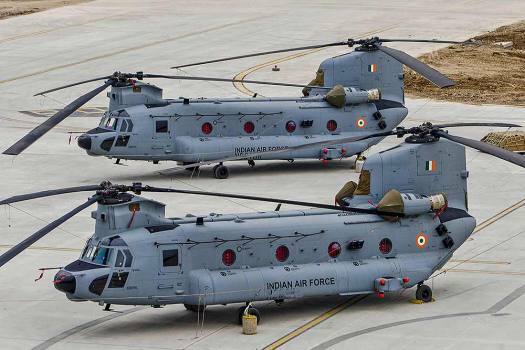 CH-47F(I) Chinook helicopters before its induction into the Indian Air Force, at Air Force Station Chandigarh. 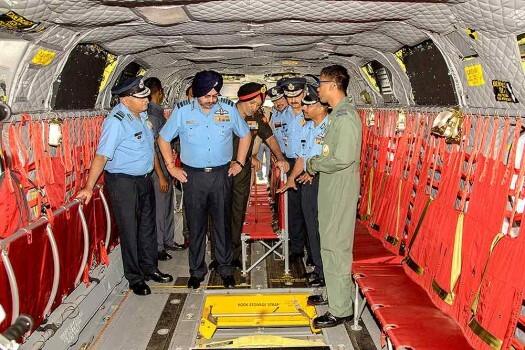 Air Chief Marshal Birender Singh Dhanoa during the induction ceremony of CH-47F(I) Chinook helicopters at Air Force Station, in Chandigarh. 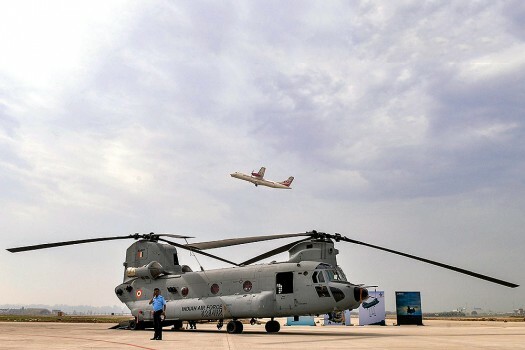 CH-47F(I) Chinook helicopter during its induction into the Indian Air Force, at Air Force Station Chandigarh. 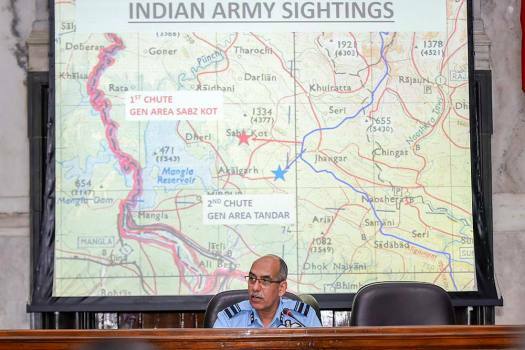 Air Chief Marshal BS Dhanoa addresses a press conference at Sulur Air Force Station, in Coimbatore. 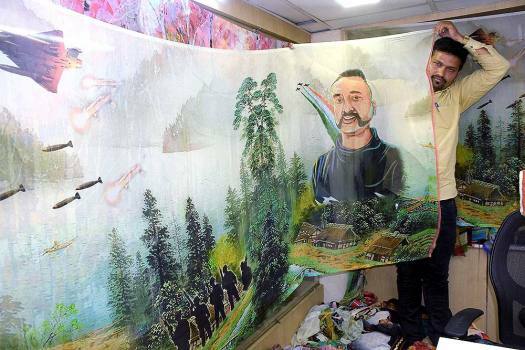 A textile merchant shows saree printed with a picture of Indian Air Force Wing Commander Abhinandan Varthaman, at his shop in Surat. 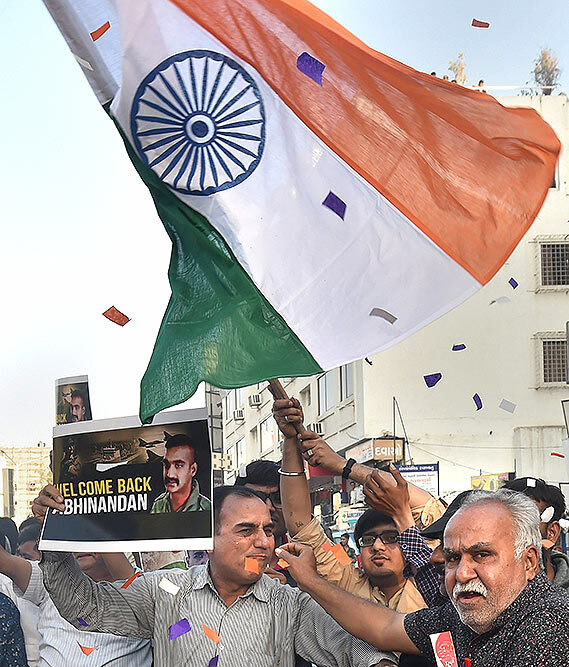 People jubilate with a Tricolour as they wait for IAF pilot Wing Commander Abhinandan Varthama's return to India, in Ahmedabad. 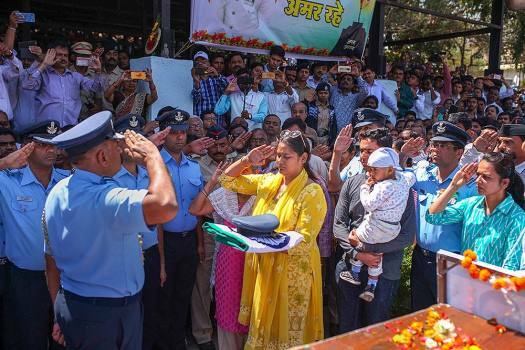 IAF personnel and family members of Squadron Leader Ninad Mandavgane, who died in a helicopter crash in Jammu and Kashmir two days back, during his funeral in Nashik. 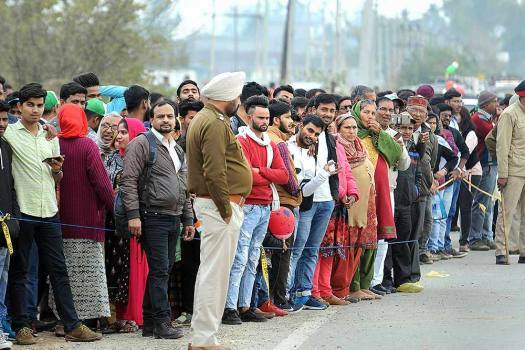 People wait for the arrival of IAF pilot Wing Commander Abhinandan Varthaman near Attari-Wagha border near Amritsar. 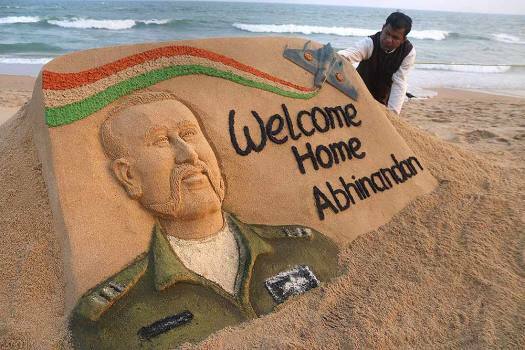 Sand artist Sudarsan Pattnaik with a sand sculpture of IAF pilot Wing Commander Abhinandan Varthaman at the beach in Puri. 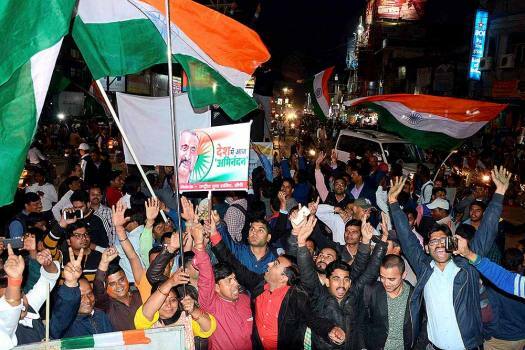 People jubilate as they wait for the arrival of IAF pilot Wing Commander Abhinandan Varthaman, in Jabalpur. 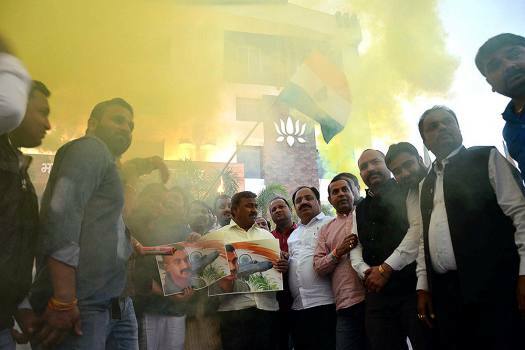 BJP workers jubilate after the release of IAF pilot Wing Commander Abhinandan Varthaman by Pakistan, in Ranchi. 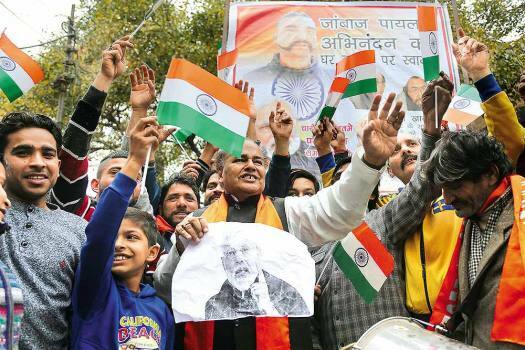 People jubilate with a Tricolour as they wait for the arrival of IAF pilot Wing Commander Abhinandan Varthaman near Attari-Wagha border near Amritsar. 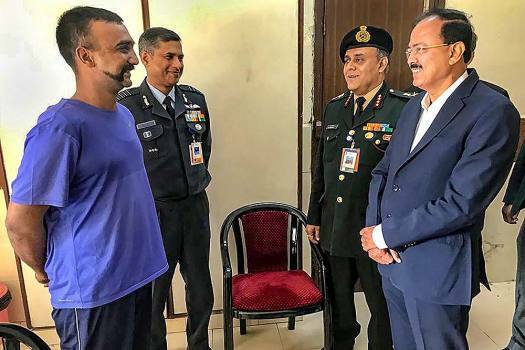 IAF Wing Commander Abhinandan Varthaman has been shifted out of Srinagar and posted to a frontline air base in the western sector. 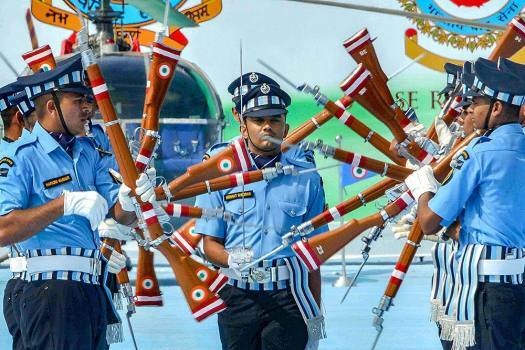 "During the aerial engagement, one MiG 21 Bison of the IAF shot down an F-16 in Nowshera sector," the IAF said in a statement. 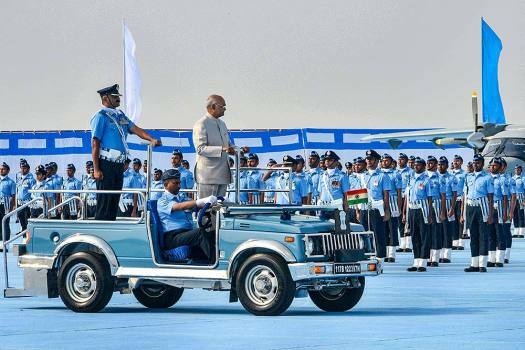 Two Indian Air Force (IAF) officers were killed and two other officers were injured on Thursday in a road accident in Jammu and Kashmir's Pulwama district. 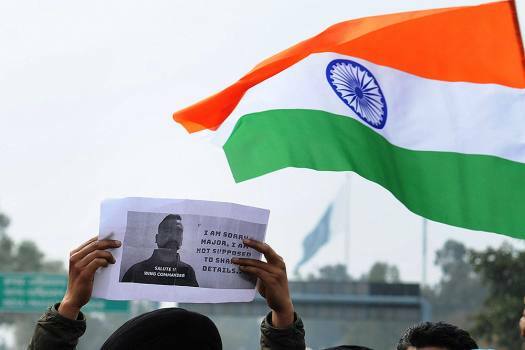 District Magistrate, Shahdara, K M Mahesh said, "We issued a show-cause notice to Sharma on March 11 for posting posters featuring Abhinandan Varthaman on Facebook." 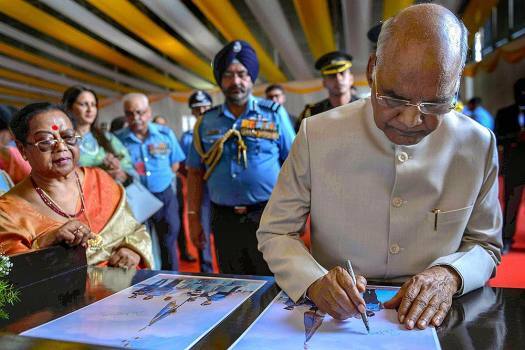 The RSS on Friday lauded the Indian Air Force (IAF) for hitting terror launch pads in Pakistan and also praised the government for taking the decision. War is also politics by other means. 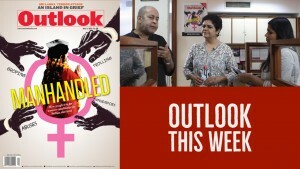 ‘Brand Modi’ revivifies with some timely, poll-eve military lustre. What are the thresholds at which the N-option kicks in?